Hillary Clinton goes into convulsions during interview, then appears to try to play it off as a joke afterward. Is it possible she has some sort of illness, or thinks it is funny to mock people with seizures? According to pharmaceutical executive Martin Shkreli, footage of Hillary Clinton exhibiting bizarre behavior is proof that the presidential candidate is suffering from Parkinson’s disease. Explaining that a stroke or a concussion wouldn’t explain the symptoms, Shkreli says that Hillary’s walking difficulties are a “cardinal symptom of Parkinson’s disease” and what is known as “freezing gait”. Shkreli adds that he helped develop a drug to treat the problem. Hillary’s “on-off episodes” are a result of dopamine depletion, according to Shkreli, which is impacting Hillary’s movement. “We’ve all seen the videos of her kind of making these perplexed facial movements,” says Shkreli, noting that Hillary’s over-reaction to balloons at the DNC was “unusual” because it betrayed an “inability to control her facial movements”. However, Hillary’s seizure-like behavior in response to reporters asking questions in another clip was even more odd because she “made this involuntary movement for about ten seconds which was truly unusual,” states Shkreli, identifying the condition as a form of Parkinson’s-induced dyskinesia. Shkreli emphasizes the fact the he is non-partisan and has given more money to Democrats than Republicans. Despite his controversial background (Shkreli was once labeled the “most hated man in America” for raising the price of the drug Daraprim by 5556 per cent), his voice adds to the innumerable health experts and doctors who have been asking serious questions about Hillary’s ill health. We highlighted Hillary’s bizarre behavior and her health problems in a video last week that has since gone viral and received well over a million views. 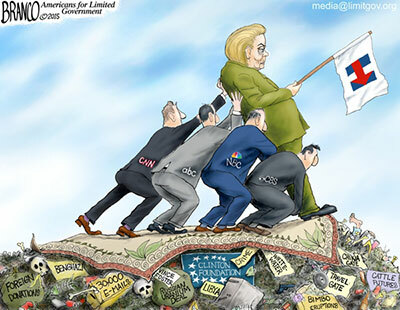 Suspicions over Hillary’s health have raged in recent days, with the Drudge Report running a series of headlines highlighting her numerous falls and difficulties walking. Other questions continue to swirl, including claims that one of Hillary’ “handlers,” who calmed her during the recent interruption of one of her speeches, carries around a an auto-injector syringe for the administration of the anti-seizure drug Diazepam. According to Shkreli, the syringe “may be an Apokyn pen, used to treat Parkinson’s,” noting that it was the same color. This entry was posted in Clinton and tagged Clinton, Hillary, Hillary Clinton on July 23, 2016 by Bone Fish.